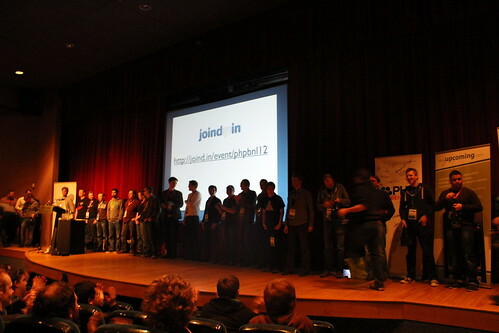 Last weekend I was at PHP Benelux (@phpbenelux). This is the third year that they have run the conference but the first time that I’ve been able to make it, definitely an advantage of living in Ireland… It was a really fun conference for a number of reasons. First, we had a PHP on Azure Hackathon where we had a number of PHP devs working on getting a project up onto Azure. There were definitely some learnings around the setup and preparation side of the hackathon but once people got setup, it was pretty good. In the three hours with setup problems and the like we actually had 3 people get a project up and running. I was fairly pleased with that as an outcome given the first time nature of this exercise. First of all, the people are fantastic. That includes everyone from the other speakers, to the attendees to the conference organizers. To be fair, I’ve got a lot of friends that were there and it was great to just hang out with some of them. But I also met a ton of new people there. 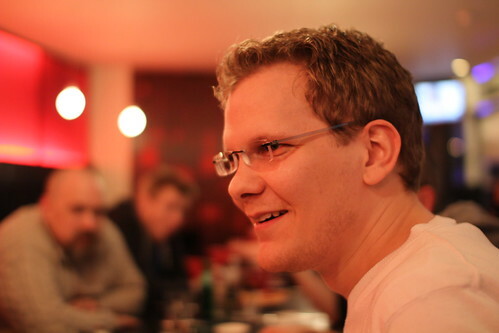 The speaker’s themselves range from international PHP celebrities, such as David Zülke and Derick Rethans, to local Belgian and Dutch speakers getting their first breaks. Microsoft’s own Craig Kitterman from the Azure product team was one of the speakers as well. Second, the content, across the board, was top notch. I really enjoyed a number of the talks from Matthew Weier O’Phinney’s VIM talk to David Coallier’s closing keynote on taking PHP to the next level. Third, the conference organization is on par with a number of pro-conferences that I attend. The tremendous number of little touches, like the fact that they track your flights and pick you up from the airport and arrange travel back for you as well, is what really puts it over the top. One of the things that I particularly liked is that they, at the end of the conferences in the closing bits called out each of the sponsors and talked about why that sponsor was important. This is something that not nearly enough conferences do. The sponsors invest quite a bit of resources ranging from cash to people to many types of resources. It was great to hear how some of the sponsors who had a small amount of cash were deeply involved in other ways while some others simply wrote a check. Both are valid sponsorships and are needed but it was really interesting to see how the different sponsors were involved. I also liked that at the end they called up all of the speakers. that line of speakers filled the stage. For anyone who thought this was a small conference, it’s amazing to see all of the bodies on stage that were involved from the staff to speakers and see how many people it takes to pull it off.